Besides the seven complete quartets � of which the first one remained unpublished during the composer's lifetime � Mendelssohn also wrote four individual movements for string quartet. These were gathered together and published posthumously with the opus number 81, and on this second volume of their complete Mendelssohn cycle the Escher Quartet perform two of these pieces, both conceived in August 1847, only a couple of months before the composer�s death. 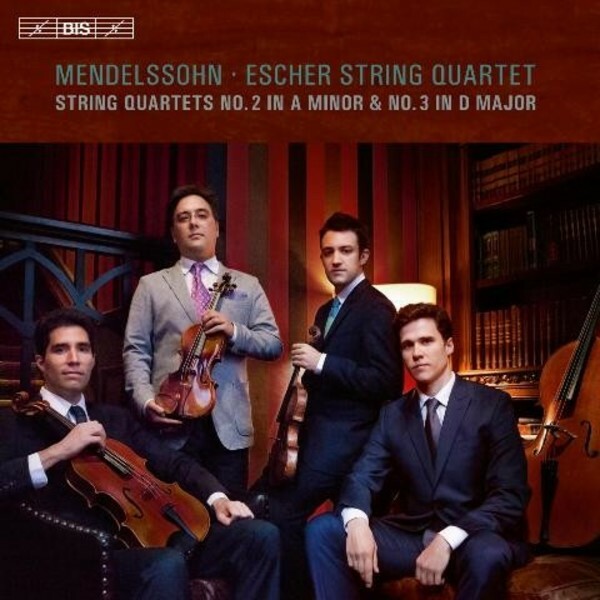 The first volume in the Eschers' series, released in April 2015, has been warmly received by the critics, with the internet site Pizzicato describing it as 'a noteworthy addition to the Mendelssohn discography'.